Once you’re down so low that you’re homeless, can you rise back up? A Seattle homeless man is amazingly getting $100,000 job offers for his technology expertise, but still is struggling to get out. When I first meet James Simmons, he’s at the state welfare office trying to get some more food stamps. He survives on those, along with some free meals he gets at the homeless shelter, where he lives. It’s a jarring background to what I’m there to talk to him about. Which is that he just got offered a six-figure job as a security-systems analyst. 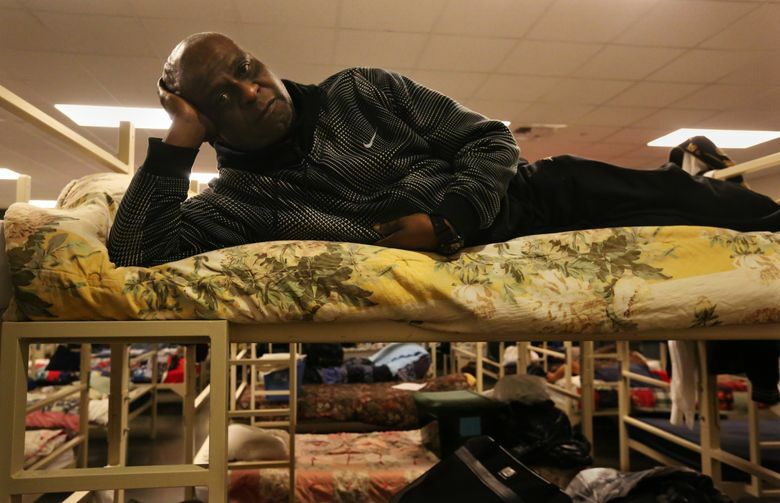 Simmons, 55, lives at the Compass Center’s night shelter near Seattle Center, beneath a church parking garage. He’s got a bunk in a room with 60 other men. He’s been homeless, off and on, for the past seven years. “I am very pleased to offer you the full-time position of Senior Analyst, Security Compliance,” reads an offer sheet he got last week from a company he asked me not to name. The pay is listed at $100,000 a year. “We’ve never seen anything like it around here,” says Walter Washington, program manager at Compass Center. “We’re thrilled when one of our clients gets a job offer at someplace like Subway. That caveat is a doozy, and is discoverable to anyone who can work a Web browser. Simmons, at the time a contract systems analyst making $90 an hour, was arrested in Seattle’s University District in 2006 and charged with selling crack as well as resisting arrest. He was convicted of the drug-dealing charge and sentenced to a year in prison. Three months after his conviction, though, the King County deputy whose testimony led to Simmons’ conviction, James Schrimpsher, was fired for dishonesty in a different drug case. That the deputy was being investigated for lying at the same time as Simmons’ trial had not been disclosed to Simmons’ attorneys. Simmons insists he didn’t sell drugs and believes he was profiled. Save for a marijuana possession charge from the 1990s in Tennessee, he has no criminal convictions before or since. Regardless, he served the full prison term at the Washington Corrections Center in Shelton, plus a year of probation when he got out. The case wrecked his career. He lost his security clearances. He defaulted on his townhome and his BMW. He drank too much. He showed me the alley he lived in for a time outside a downtown Seattle Starbucks. “Now it’s only because of that blessed church that I have any roof over my head,” he said. What’s alarming about Simmons’ story is that his drug-dealing conviction was eventually stricken from the record. He was retroactively exonerated in 2010 because the testimony that convicted him was no longer considered credible. Yet he struggles to get a job because the story stalks him on the Internet. He is listed on the National Registry of Exonerations as being wrongly convicted. But he says that hasn’t stopped multiple companies from backing away from hiring him once he gets to the background check stage. Simmons is also struggling to overcome both the reality and stigma of being homeless. Take the logistics of interviewing: He cleans up the best he can, puts on his nicest shirt and then tries to find a quiet place around town with free Wi-Fi. There, he Skypes, fielding systems data questions from executives in cities such as Minnesota or Phoenix (those are two of the recent interview schedules he showed me on his email thread). Sometimes the firms want to meet in person. Simmons is undoubtedly the first Seattle homeless-shelter resident to be flown at corporate expense to an interview in Florida, at a firm called Roper Industries. He showed me the airline ticket and receipt. He didn’t get that job. He tries to stay current in his field by studying IT manuals from his shelter bunk bed. Simmons now frets he doesn’t have the means to accept a job offer, even if it holds up (his most recent one is in a different city). What is he to do before he gets a paycheck — travel to the city and then move temporarily into another homeless shelter, even as he presents himself for a high-tech, white-collar job? It was the conviction that knocked him low. But now being poor comes with its own pull of gravity. “I’m not going to lie and pretend this hasn’t taken a toll on me,” Simmons says. “You asked me if I think anyone can rise up out of a homeless shelter. I mean, I’m getting $100,000 job offers and I can’t seem to get out. UPDATE, Dec. 15: After this story ran, Seattle Times readers, United Way and the hacker community all reached out to offer support. James Simmons has now started a new job in Portland and says he’s feeling optimistic.